Tracking Heart Rate Variability (HRV) is one of the newest ways athletes and coaches can monitor their level of fatigue. In a recent article by Simon Wegerif, he explained how tracking HRV can help make your training more productive, quantify your recovery, and recognize the early warnings of overtraining. Keeping track of your HRV in TrainingPeaks allows you to compare how the intensity or duration of your workouts affect your HRV, which can help you and your coach optimize your training and recovery. Using one of these compatible apps to measure and automatically sync your data makes tracking HRV with TrainingPeaks simple and easy. HRV can also be manually logged from the calendar in both the TrainingPeaks web and mobile applications. ithlete has both iOS and Android apps for measuring your daily HRV. Measuring your HRV can be done using a fingertip sensor, ECG receiver, or Bluetooth Smart heart-rate strap. 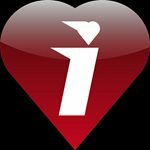 A subscription to ithlete Pro is required to sync your HRV data to TrainingPeaks. The HRV4Training iOS app pioneered the concept of using the camera and flash on your iPhone to measure HRV and Pulse. Marco Altini shares his research on using the phone’s camera for HRV measurements on his blog. Measurements can also be taken with a Bluetooth Smart heart-rate strap. The HRV4Training app syncs all your historical data when you first link your accounts. 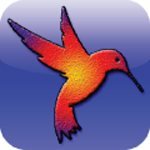 SweetBeat was one of the first iOS apps available for measuring your HRV outside of a clinical setting. 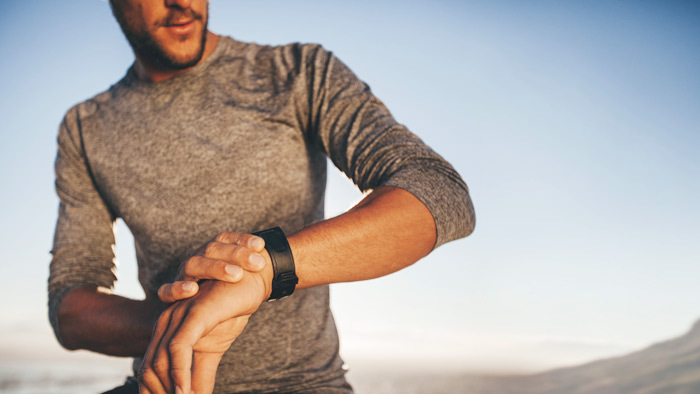 In addition to measuring your HRV for training, you can also measure HRV to monitor your stress levels throughout the day, and perform food sensitivity tests to check for food allergies or sensitivities after meals. Measuring your HRV is done using a Bluetooth Smart heart-rate strap. All of your HRV for Training measurements will be automatically synced to TrainingPeaks. View the complete list of apps that are compatible with TrainingPeaks. When tracking HRV to optimize your performance, you may also find it useful to log additional metrics that may affect your training and recovery. Tracking sleep hours, fatigue, soreness, mood, stress, weight, and if you are sick or injured can give you and your coach the complete picture of your current physical and mental state. These additional metrics can also provide context to your HRV values and be indicators of lifestyle factors that may be affecting your training or recovery. The Metrics Quick Views can be configured to display only the metrics that you are interested in tracking. Learn more about configuring which metrics are shown in the Quick View. Viewing metrics over an extended period of time can be performed using a Dashboard Metrics chart. To see how a metric like HRV or weight has changed over time, add a Metrics chart from the Dashboard’s Chart Library and then configure the new chart to display the metrics that you are interested in. A second metric can be added to the chart for comparison. You can add multiple Metrics charts to your Dashboard and customize each one to compare different metrics to each other. 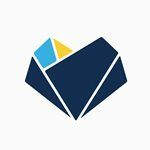 Find more information on customizing your dashboard charts. A powerful feature of the TrainingPeaks mobile apps is the ability to graph metrics on any chart, including the Performance Management Chart. Adding HRV and Pulse to the PMC shows both the stress of training and your current state of recovery on the same chart. Comparing Sleep, HRV, and Intensity Factor® (IF®) on the same chart can help you or your coach determine how many days it takes you to recover from a hard effort, and if your sleep habits are affecting your training or recovery. Using the TrainingPeaks mobile apps you can compare more than 100 different types of your historical training, metric, and nutrition data on the same chart. 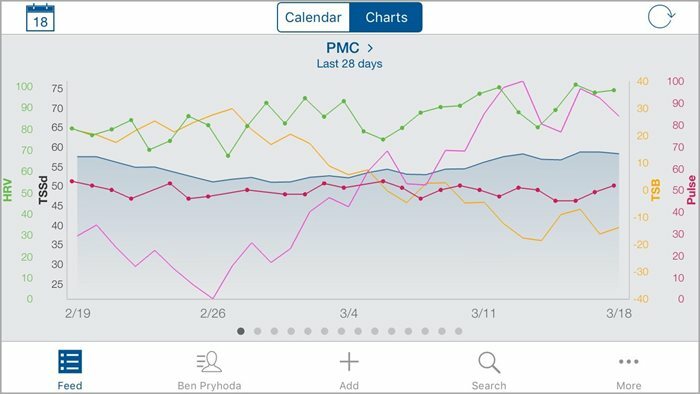 Read more about how to customize your dashboard charts in the TrainingPeaks mobile apps. 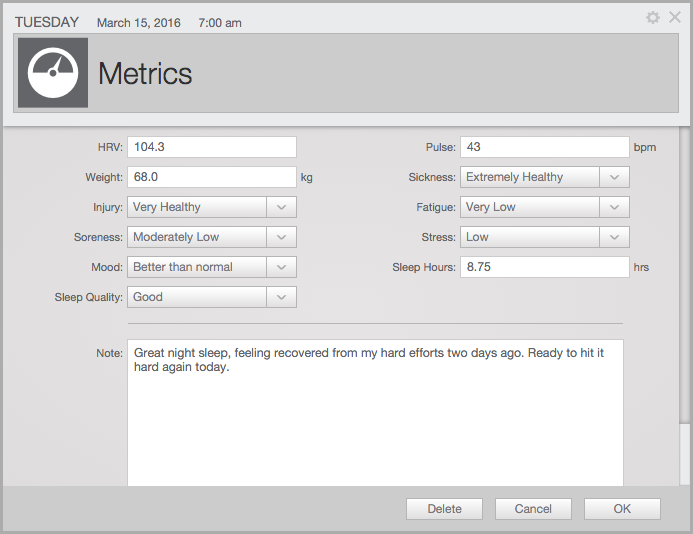 HRV has quickly become a critical metric for gaining insights into your body’s ability to train on a given day. Knowing when to go hard and when to back off can make the difference between over-training or achieving your goals. 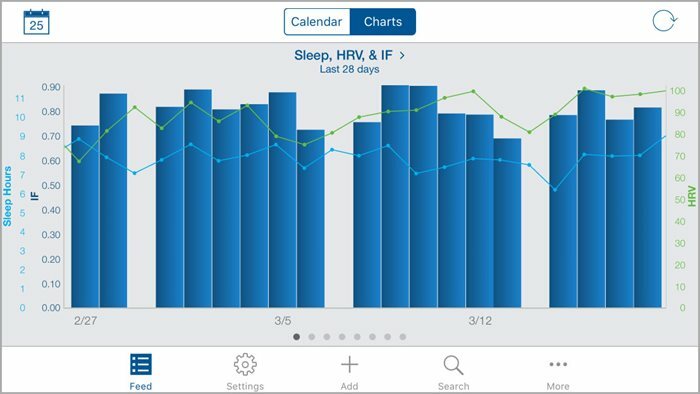 By using an HRV compatible app and diligently recording values like sleep quality and mood, you can get a more detailed accounting of how your body responds to various training loads.